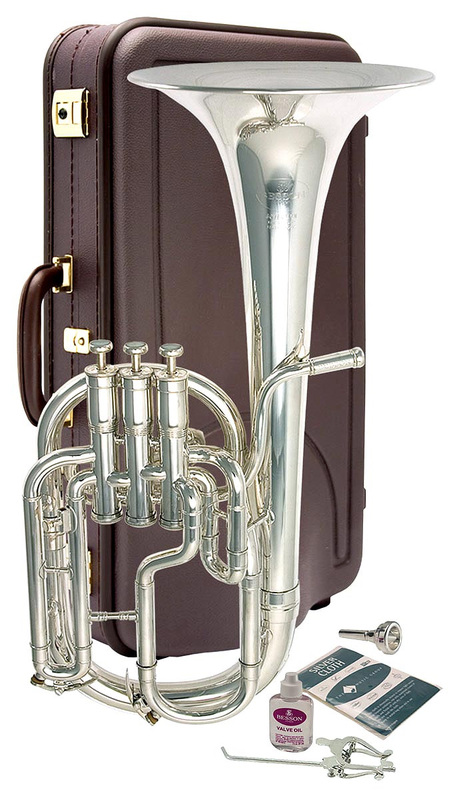 For years Besson tenor horns have been among the most successful and highly regarded instruments on the market. They have the perfect sound and enough power to fulfil any musical challenge. The Besson tenor horns offer a beautiful tonal quality and in a brass band setting have the capabilities to both blend and have soloistic presence. Soloist Lesley Howie: I couldnt believe the sound and responsiveness of the new Besson tenor horn. It feels and plays like my original Globe stamped Sovereign. Silver plate, Sovereign model, .402 bore, 8 bell, 3 top sprung stainless steel valves, bronze valve springs, reinforcing bell wire, supplied in a shaped hard case.